At IsoWhey, promoting healthy choices is our first and foremost passion. 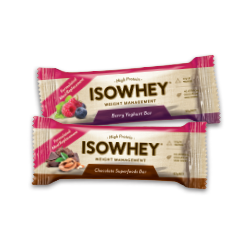 The IsoWhey ranges are developed for health-conscious people who are looking to lead a healthier lifestyle. Our products are dedicated to the health and wellbeing of all our customers, and are formulated to be a nutritious and healthy option when nutrition could be improved during various health and life stages. 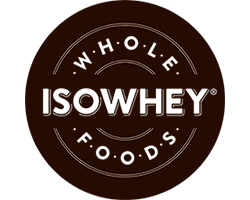 Discover more about our brands. The IsoWhey Weight Management range is scientifically formulated by qualified healthcare practitioners to give you pure whey protein and other premium ingredients in the right balance to help nourish your body, manage your weight and feel your best - inside and out! 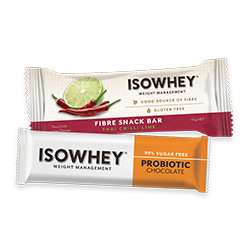 The IsoWhey range includes our original whey protein powder, snacks and meal replacement bars to support your weight management efforts. 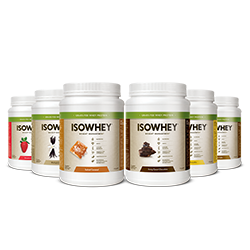 IsoWhey is an Australian-owned premium health and wellbeing brand which is sold in more than 3,000 pharmacies and health food stores across the country. Providing a scientifically formulated range with high quality, un-denatured protein, IsoWhey offers innovative products with added nutrients. 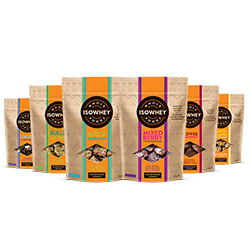 IsoWhey Wholefoods is a premium wholefoods range which is full of nutrient-rich ingredients, catering to individuals with specific nutritional requirements and to those who want more from their meals. 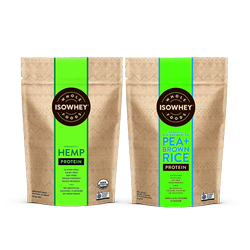 The IsoWhey Wholefoods formulas include our superfood snacks and wholefood proteins that boast a range of nutritious ingredients for optimal health, and are all packed with nourishing natural ingredients to support a healthy diet and lifestyle. 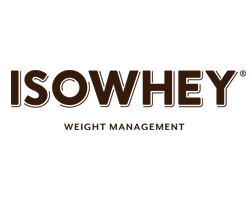 The majority of the IsoWhey Wholefoods product are also certified organic. 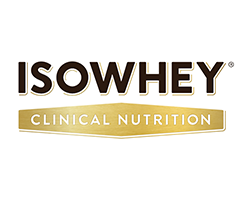 The IsoWhey Clinical Nutrition is a new range of products scientifically formulated by qualified healthcare practitioners which are tailored to the nutritional needs of different life stages or conditions. 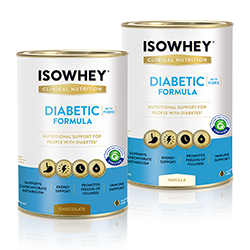 IsoWhey Clinical Nutrition includes our Diabetic Formula and the NEW Advanced 55+. 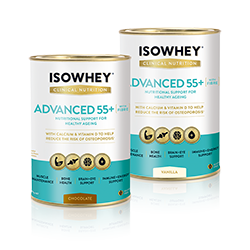 Advanced 55+ delivers a nutritional snack to maximise daily nutrition to support healthy ageing, used in conjunction with a balanced diet. It is a convenient and effective way to increase protein, energy and nutrition intake.